The mission of the American College of Cardiology is to transform and improve heart health and care. 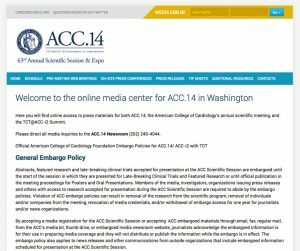 The Annual Scientific Session and Expo features a media center for embargoed press releases. 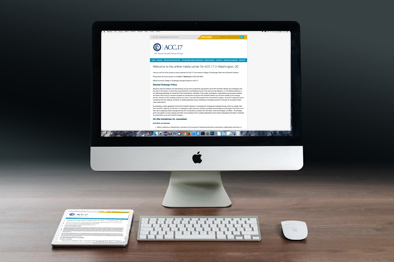 We developed a secure, password-protected portal for online access to press materials for both ACC.14, the American College of Cardiology’s annual scientific meeting, and the TCT@ACC-i2 Summit.